is comprised of representatives from numerous public and private agencies throughout the state that share a common goal of protecting children traveling on the roadways of Alaska. Members include healthcare professionals, firefighters, paramedics, law enforcement officers, injury prevention professionals, health and safety personnel, educators, parents, businesses, foundations, policymakers, and volunteers. 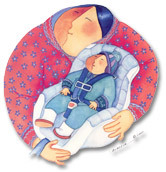 During calendar year 2018, members of the Alaska CPS Coalition reported 1,625 car seat inspections. Only 148 of those inspections revealed correctly installed car seats. 91% of car seats inspected were found to have some form of misuse or were uninstalled upon arrival.